The deal was announced by Microsoft CEO, Satya Nadella, at the Ignite conference in Atlanta this week and is based on Adobe making the software vendor primary infrastructure provider for its most popular software-as-a-service apps: Marketing Cloud, Creative Cloud and Document Cloud, on the Microsoft Azure infrastructure-as-a-service (IaaS) cloud. The two-way deal also sees Microsoft using the Adobe Marketing Cloud as its preferred marketing service for Dynamics 365, marking a partnership between the two companies’ marketing SaaS apps. 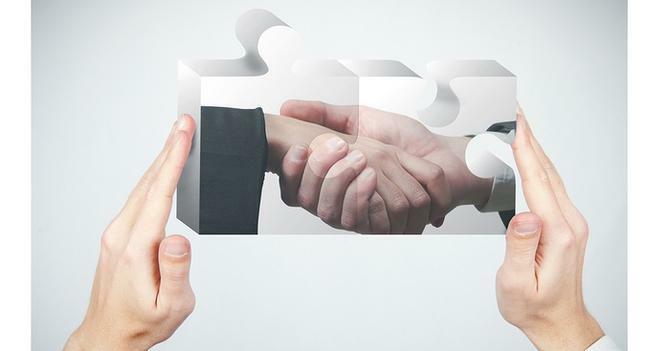 The deal comes after nearly 18 months after Adobe and Microsoft struck a partnership to integrate Marketing Cloud with Dynamics CRM. The move is a power play by Microsoft and Adobe on multiple fronts, analysts say. But, it should also be taken with a grain of salt: A spokesperson for Adobe confirmed the company has a “large footprint” with AWS and it expects to use both AWS and Azure moving forward. In that sense, it shows the dynamic nature of partnerships across the cloud market. In terms of the marketing function penetration, principal analyst for Pund-IT, Charles King, said the significant of the deal is hard to measure at this point. But he noted synergies between the two companies, as well as a history of successful strategic alignments. “The market strength of Microsoft Azure makes it a logical and valuable home for Abobe services,” he told CMO. “But how enthusiastically Dynamics 365 customers will embrace the Adobe Marketing Cloud remains to be seen. Raab and Associates founder, David Raab, said one of the great unknowns has been whether Microsoft would enter the enterprise marketing automation business, perhaps by buying Marketo. "This presumably answers that question, although it’s not clear how much effort Microsoft will put behind selling the Adobe suite," he commented. "In general, Microsoft’s Dynamics CRM resellers have been selling to smaller firms, not the enterprise. So I wouldn’t expect much interest among that group in selling the Adobe cloud. "On the other hand, Microsoft does now own LinkedIn, which is a tremendous potential asset if they work to exploit it. Integrating that with the Adobe cloud could be very interesting. I don’t really expect that to happen but you never can tell." Earlier this May, AWS had their own big win with a SaaS vendor when Salesforce.com named AWS its preferred infrastructure provider. “Microsoft needed a win on Azure and they got one with Adobe,” tweeted Aragon Research lead analyst, Jim Lundy (check out his Tweet for a video clip of Nadella and Adobe CEO Shantanu Narayen announcing the partnership). The announcement comes as Salesforce gets ready to kick off its Dreamforce event next week. Alongside the Adobe partnership, Microsoft also announced its intention to bring artificial intelligence capabilities into is software stack, joining the list of enterprise vendors looking to capitalise on emerging AI technology. As well as previewing new skills for its personal assistant and AI agent Cortana, including health insights and reminders, Office 365 is getting new cloud-powered intelligent capabilities. These include Tap in Word and Outlook, which uses Microsoft graph aimed at making it easier for users to incorporate content from existing documents, plus Maps, a new chart type in Excel powered by Bing Maps, which brings geographic data into visualisations. Microsoft MyAnalytics (formerly Delve Analytics), a personal analytics service in Office 365 that helps people understand how they spend time at work, is also going to benefit from AI, while Relationship Assistant, included in the soon-to-be-released Dynamics 365 for Sales, will utilise AI to help make customer engagement more intelligent across any device.